We have been in the business of stolen vehicle recovery for years and with our level of experience, have been able to earn a reputation. We are no doubt, UK's leading car security Solutions Company. We make use of the highest tech in our vehicle recovery services. We take it a step further by providing car security solutions to businesses in the form of fleet tracking. These allow us to monitor vehicles at a time and ensure they are kept safe and secure at all times. For this reason, our clients need not worry when they install car trackers with us because they are insurance approved and also because we make use of the very latest of car tracking technologies. With our reputation, we have been able to liaise with the local UK police force. This ensures that your vehicle would be returned to you as soon as it found anywhere in the UK. When we say �desirable�, we speak of the probability of it getting stolen. New cars are usually more susceptible to being stolen than old cars. For this reason, we have car security solutions for new cars. Undoubtedly, the rate of car theft in the UK is on the increase as we see that thousands of vehicles are stolen on a daily basis all across the UK. There are also certain brands of cars that are usually easily targeted by these car thieves. Ensure you get your vehicle secured with our tracker to keep your mind at ease. Vehicle thieves have found a way to use scramblers to try and block out the signal emitting from trackers. But be rest assured that with our state-of-the-art technology, we have been proven to get around these scramblers and locate these stolen vehicles. This kis made possible because our trackers do not work solely on GPS tracking. So we are definitely able to locate the car with or without the use of scramblers. To give that extra layer of security, we ensure we place our trackers in places where they cannot easily be seen and removed. Immediately we are notified that a car is missing, we begin racking it immediately and send the signal to the nearest local police. This makes it even easier to locate the vehicle on time. Our clients enjoy a wide coverage also because we operate all across Europe. So even if you leave your country, we will still be able to track it as long as it is in Europe. With our innovative idea of partnering with the local police authorities, we are able to get your stolen vehicle back to you in no distant time. With us, you also get to save up by reducing your insurance premiums. No matter the type of vehicle, you can count on us to install a tracker a get it back to you, if stolen. No matter the type of car used for your business or the fleet, we are able to keep an eye on all of them. We can install our trackers on all your business vehicles and help you recover any reported stolen as soon as possible. Looking to get the best car security solution company in the UK? You should call us and let us get you started with our high tech car trackers. 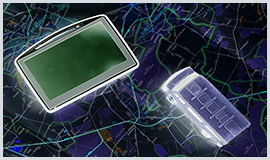 A lot of people think of fleet tracking devices, when the subject of GPS car trackers is mentioned, that are used to track movements of local authority vehicle fleets, trucks and taxi cabs.